Anyone know the story behind this street? Fancy a walk down there yourself? 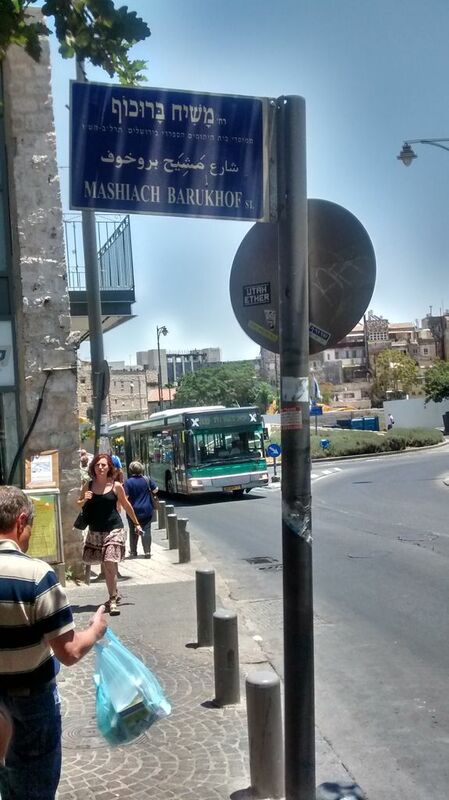 Notice the English translation of Messiah is different here again, English translations of Hebrew words can be different on street signs on different ends of one street in Israel. This street is round the corner from the Pavilion shopping mall which has King of Kings Jerusalem congregation. My church for most of the 4 years I spent in Israel.